 Graziano M J, Spoon T A, Cockrell E A, et al. 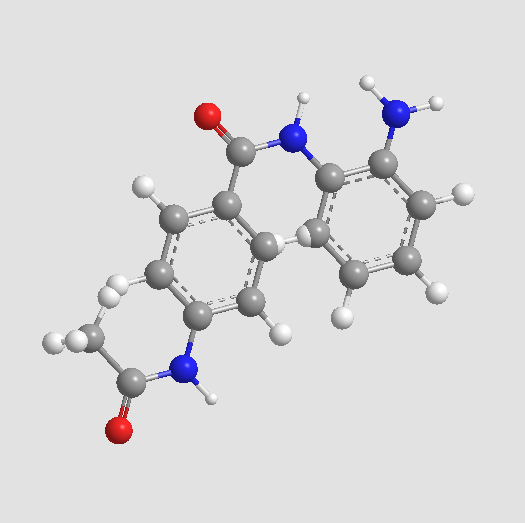 Induction of apoptosis in rat peripheral blood lymphocytes by the anticancer drug CI-994 (acetyldinaline). BioMed Research International, 2001, 1(2): 52-61. 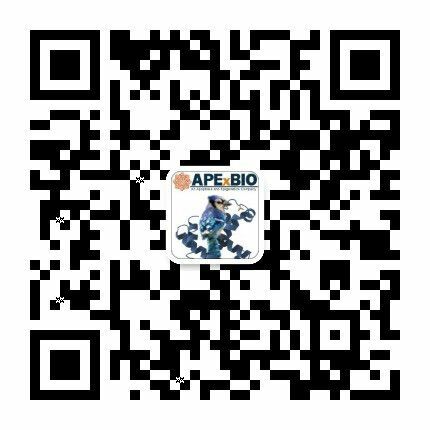 Graziano M J, Galati A J, Walsh K M. Immunotoxicity of the anticancer drug CI-994 in rats: effects on lymphoid tissue. Archives of toxicology, 1999, 73(3): 168-174.
. Graziano, M.J., et al., Induction of Apoptosis in Rat Peripheral Blood Lymphocytes by the Anticancer Drug CI-994 (Acetyldinaline)(*). J Biomed Biotechnol, 2001. 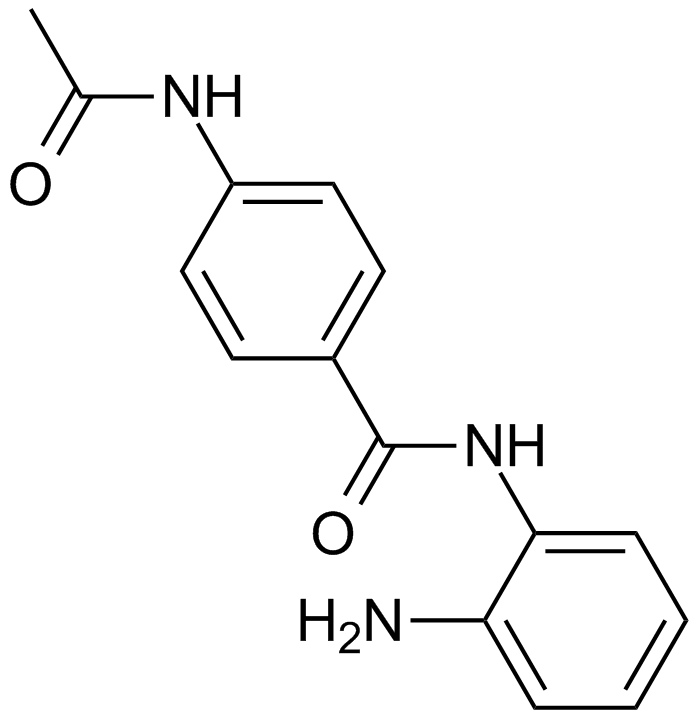 1(2): p. 52-61.
. Loprevite, M., et al., In vitro study of CI-994, a histone deacetylase inhibitor, in non-small cell lung cancer cell lines. Oncol Res, 2005. 15(1): p. 39-48.
. Cacan, E., et al., Inhibition of HDAC1 and DNMT1 modulate RGS10 expression and decrease ovarian cancer chemoresistance. PLoS One, 2014. 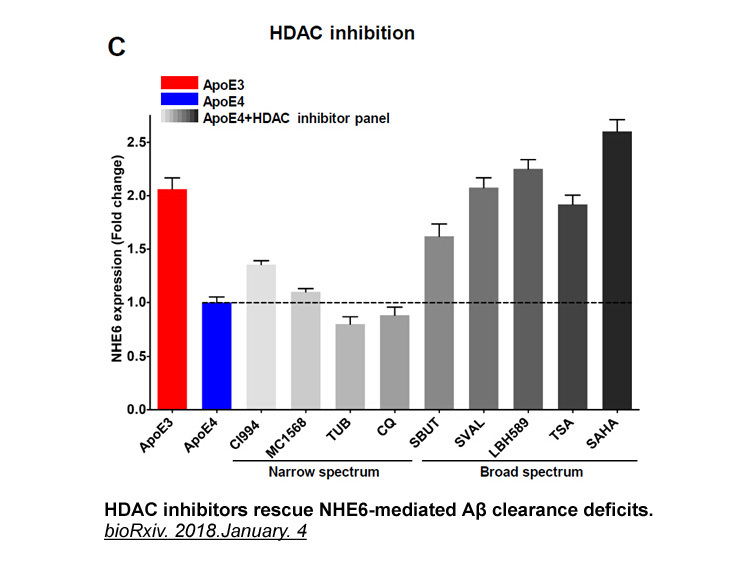 9(1): p. e87455.
. Beckers, T., et al., Distinct pharmacological properties of second generation HDAC inhibitors with the benzamide or hydroxamate head group. Int J Cancer, 2007. 121(5): p. 1138-48.
. Graziano, M.J., A.J. Galati, and K.M. 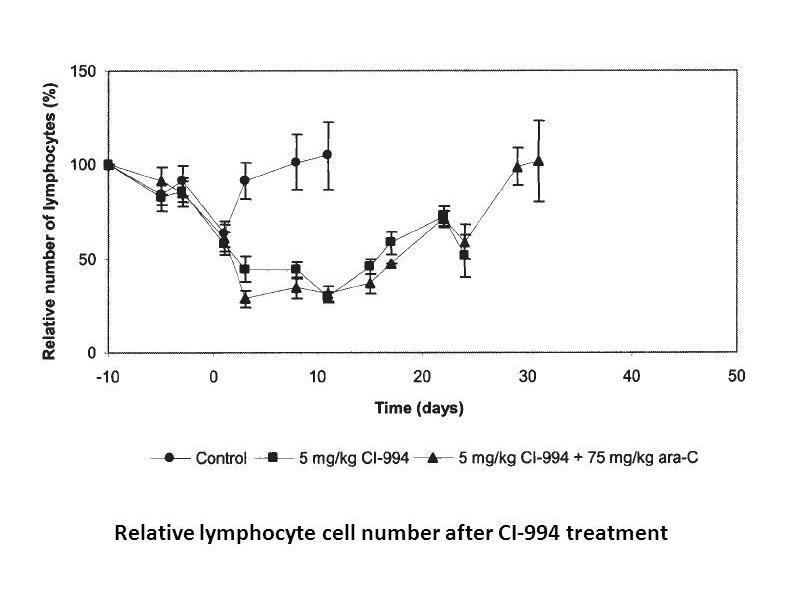 Walsh, Immunotoxicity of the anticancer drug CI-994 in rats: effects on lymphoid tissue. Arch Toxicol, 1999. 73(3): p. 168-74.